Cross Body Satchels are now available in the shop. 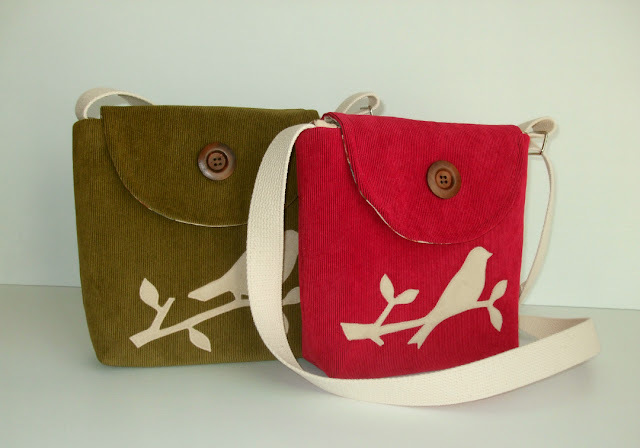 I'll be adding more in a variety of colors and applique designs. These are a smaller version of my messenger bag. 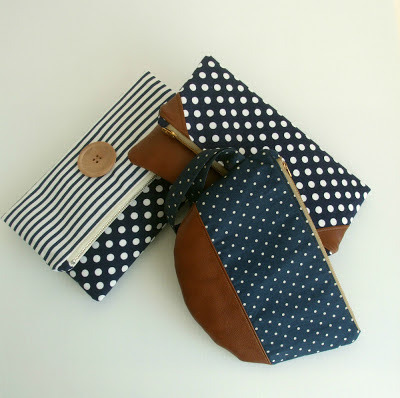 Clutches and wristlets in polka dots and nautical stripes. 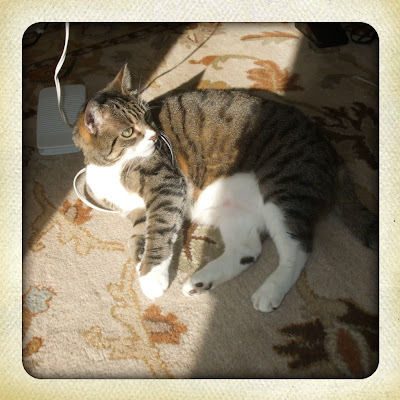 The sweet pesky cat catching some rays after a very busy day in the studio. 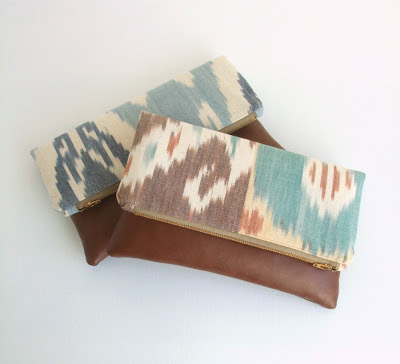 Those ikat clutches are so gorgeous!